Supermarket chain ASDA has issued a notice recalling its ASDA Main for 2 Vegetable Balti as the product contains milk that was not on the product label. This means that the product could pose a possible health risk for anyone with a milk allergy or intolerance. 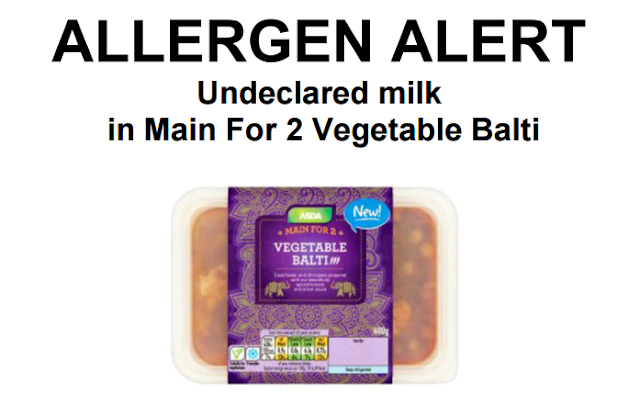 This is the second recall notice in the past few days from ASDA, after they had to recall some steaks with sauce that also contained unlabelled milk. Hopefully they won’t have to deal with any more in the near future.